Comprised of strongly arching metal arms reaching upwards towards the ceiling, Prospect Park’s stunning chandelier design is suspended with classically-inspired chain. 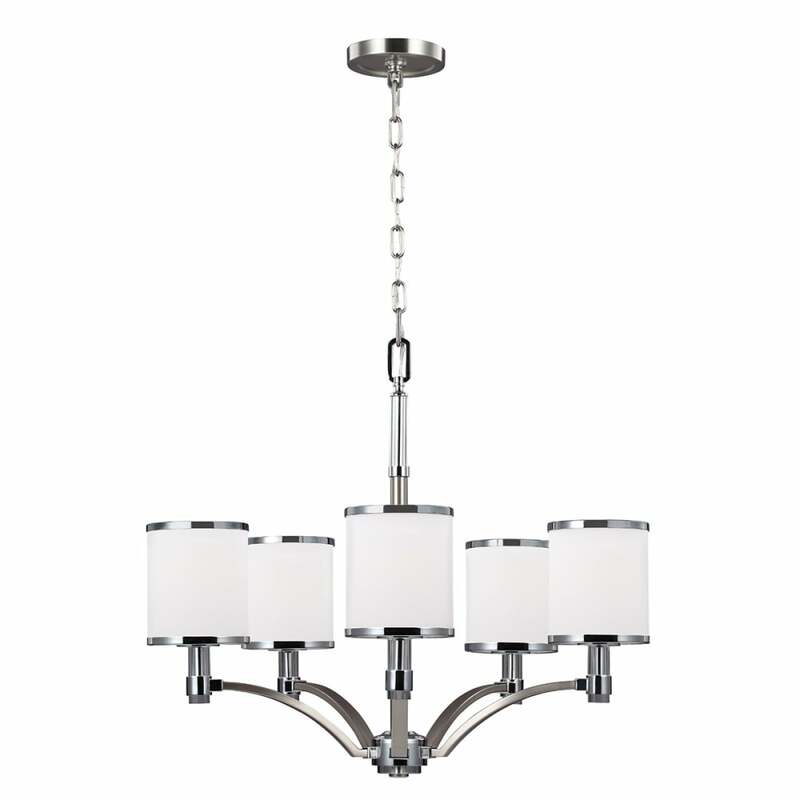 A two-tone finish incorporating sophisticated Satin Nickel and contemporary Chrome highlights every single detail – including the smooth cylindrical shades of Opal Etched glass, edged with metal banding for a formal impression. Make these 5 or 9 light chandeliers centre stage in a hallway, living room, dining room or conservatory. See other matching items in the collection. View All Feiss for more information on Prospect Park or view the complete Prospect Park Collection.